From 2017 High Holiday services: Rabbi Ariana Silverman, Isaac Agree Downtown Synagogue, Pastor Aramis Hinds, Bethel Community Transformational Center, and his wife, Rosanna Hinds; IADS member Rick Wiener of East Lansing; and Arlene Frank, IADS executive director. Downtown Synagogue to share its pre-seder with community partners. Why is this night different from all other nights? The Isaac Agree Downtown Synagogue (IADS) grappled with the question anew this year when they learned the Tigers Opening Day landed on the same day as the synagogue’s traditional second-night community seder. 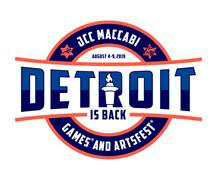 The popular game meant impossible parking and difficulty getting to the synagogue, a few blocks from Comerica Park. But the ever-resilient congregation, led by Rabbi Ariana Silverman, turned the problem into an opportunity to rethink how to celebrate Passover with their Detroit partners. They decided to conduct a pre-seder from 4-6 p.m. Sunday, March 25, and divert from their traditional Maxwell House Haggadah. This year, the synagogue invited members of Detroit’s Bethel Community Transformational Center (BCTC), where the synagogue held its last High Holiday services, to be guests and to take part in the planning process. The powerful Passover story is about leaving oppression and going to a place of freedom, she says. “We’re taking parts of the haggadah and looking at it through an interfaith lens. We’ll talk about how we were slaves and became free. But what do slavery and freedom mean to our African-American partners” still struggling for freedom? Synagogue Program Director Vicki Sitron, 37, says the synagogue’s stated values guiding the seder are to be good neighbors with the Detroit community as well as the Metro Detroit Jewish community. The growing support from the Jewish community is unique, Silverman says. While they have a 300-person membership, which is free, their High Holiday database indicates 2,500 participants. David Kurzmann, executive director of JCRC/AJC, explains why his organization is the other partner of the IADS seder. He personally was moved by the 2017 High Holiday services held at BCTC. Although he’s a third-generation Detroiter, he says he’d never davened in the city until that service. And, from a historic viewpoint, BCTC is housed in the former home of Temple Beth El, now in Bloomfield Township. 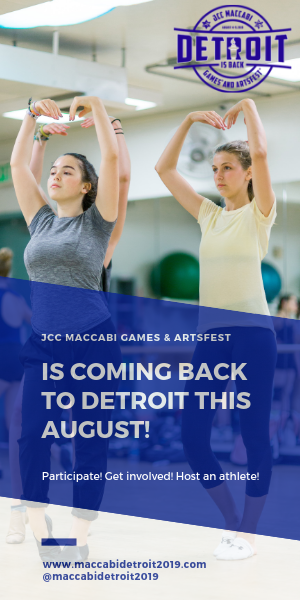 Kurzmann believes the Downtown Synagogue is an important hub for Jewish life in Detroit and a good fit for JCRC/AJC support. “With the rise of anti-Semitism and racism, our community relations work is more important than ever,” he says, especially in its quest to find common ground. In terms of the partnership with Pastor Aramis Hinds, who heads BCTC and Breakers Covenant Church International, Kurzmann adds, “Pastor Hinds is a very impressive and a worthy partner. The pastor truly believes his calling is to connect other religions and renew the black-Jewish relationship. Church member Sondra Jenkins of Detroit and executive director of Organizational Development at the Detroit Institute of Arts, agrees. Jenkins explains the relationship between Hinds’ church and Bethel Community Transformational Center, a nonprofit with its own board of directors (including Silverman). The center hosts a wide-range of programs and services, including Hinds’ church. Other programs in the building, Jenkins says, include the Detroit Phoenix Center for homeless and displaced youth, an emergency temporary shelter, two community theaters and, recently, Detroit Jews for Justice. This year, the seder will include storytelling by several church and synagogue members about being in a stuck place, Sitron says, like depression, and rising above it. Both Sitron and Jenkins emphasize that the ability to have difficult conversations between church and synagogue members takes hard work and trust. “This is not a one-and-done relationship,” Sitron says. Since last year’s High Holidays, the two congregations have shared a variety of events, from Motor City Karaoke to a community conversation called “Detroit 2067.” Conducted by Wayne State University professor Peter Hammer, director of the Damon J. Keith Center for Civil Rights, the group shared its vision for the future of Detroit. At press time, the synagogue has reached capacity for the community seder. However, Sitron has started a waiting list. Learn more about how to get holiday ready for Passover.